Green Innovation For Tomorrow Corporation (GIFTC), has celebrated their grand inauguration today on 22nd of July 2016. The privately own Power Plant has started to produce a net export of 10.8 MW on January this year and is already supplying green electricity to more than 10,000 households. This Project success is the fruit of the great collaboration between GIFTC management, their EPC, AREVA Renewable Energies and their Erection Contractor, Engcon Energy Philippines. 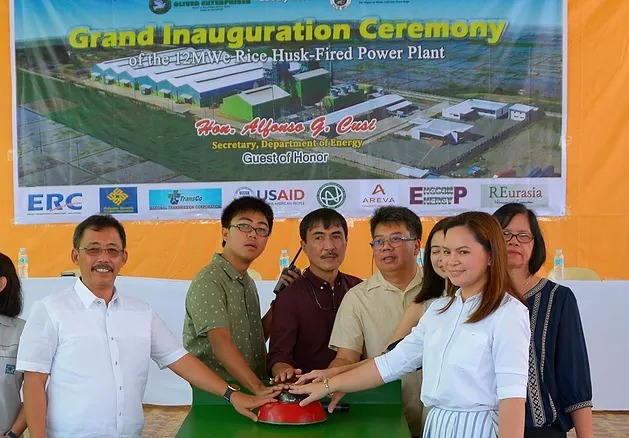 This is the 9th Biomass Power Plant of this kind, using agricultural waste to fuel a steam turbine, installed and commissioned in Philippines. The fit in tariff applied by the government has really helped the energy sector to diversify and implement greener sources of energy in Philippines.